The workshop will be offered in two locations, one in Sacramento on Thursday, May 1st from 12:30-2:30 at the California State Capitol Building - OPR, 1400 10th Street. Please register for the Sacramento session by April 29th on the Superior Chapter Website. Payment will be accepted online or at the door by cash or check payable to AEP. For questions or to cancel, contact Christina Ryan. The other session will be in Berkeley on Friday, May 2nd from 12:30-2:30 p.m. at the PlaceWorks offices at 1625 Shattuck Avenue suite 300, Berkeley, CA 94709. Please RSVP for the Berkeley session either by emailing Mark Kenegos at mkenegos@gmail.comor go to the San Francisco Bay Chapter AEP website to register and pay online through PayPal. On site payment will be accepted in the form of cash or check only. Lunch will be provided with a $10 workshop fee. We look forward to your participation. The Governor's Office of Planning and Research: Seth Litchney, Senior Planner and Holly Roberson, Community Engagement and Land Use Specialist. The Association of Environmental Professionals San Francisco Bay Area Chapter invites AEP Members to join us for our annual Holiday Party. 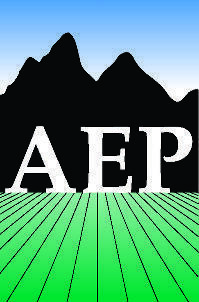 The party is free to AEP Members and their guest. Dress is festive and casual. Jupiter is located across the street from the Downtown Berkeley BART station and is along the AC Transit Bus Route #18. DescriptionEvent description: WHAT: Plan Bay Area is a regional statement and includes projection about what the Bay Area could look like in 2040. The Plan is the region’s response to SB 375 and to the urgent need to plan for accommodating growth in an increasingly vulnerable world. The planning questions inherent in Plan Bay Area are: Where will these new residents live? Where will they work? How will they get around? What percentage will live in apartments? What percentage will work in dense transit-oriented job centers? Join our panelists as they discuss the One Bay Area Plan, its implications for the future of planning in the Bay and how their communities will implement the policies within the Plan. WHEN: Thursday September 26, 2013, 6-8 pm ( Dinner will be served, networking followed by panel discussion) WHERE: URS Oakland, 1333 Broadway, Suite 800, Oakland, CA 94612 (East access from BART!) WHO: Moderator: Vivian Khan, FAICP/Associate Principal Dyett& Bhatia | Urban and Regional Planners Speakers: Hanson Hom, Community Development Director, City of Sunnyvale Patrick Lane, Redevelopment Manager, City of Oakland Dan Marks, Interim Planning Director, City of Vallejo Debbie Chamberlain, Planning Services Division Manager, City of San Ramon This event is FREE to all AEP and APA members. To register for the event, please go to http://apaaeponebayareaplan.eventbrite.com/. For questions, please feel free to contact Peter Masson, AEP Vice-President of Programs - East Bay at pmasson@craworld.com. CM credits will be available.